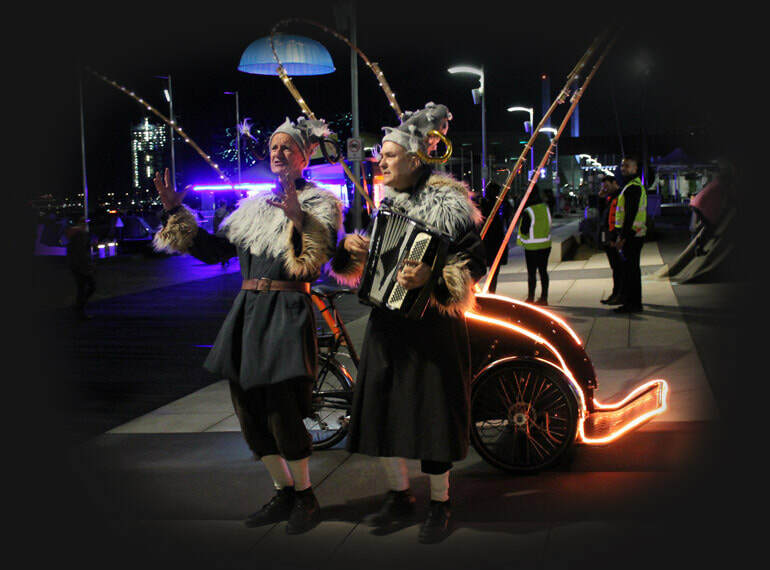 Cyclo illuminato is a super enhanced tricycle that carries the performers, a vista of lights and a sound system. This highly adaptable performance vehicle appears as a magical light boat at night or a surreal ship of fools during the day. Insured and roadworthy. Ready for action. Illuminated bicycle from neil thomas on Vimeo.